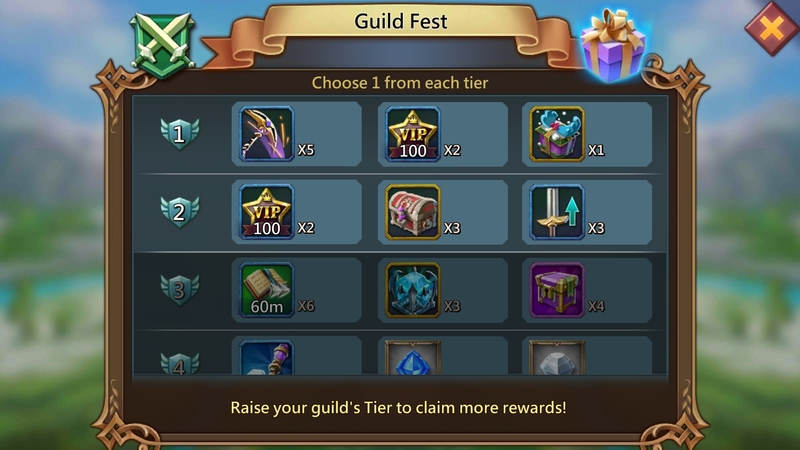 The Guild Fest is a 7-day long event which gives amazing rewards to all participating guild members. To Participate in it a member must have castle level 15 or higher. 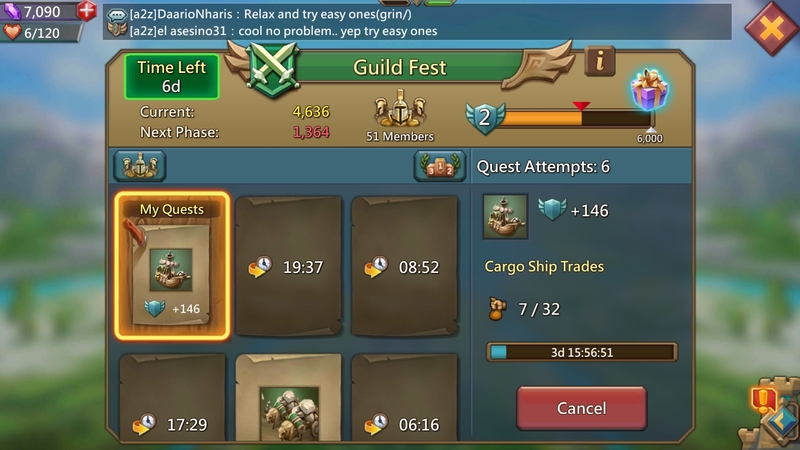 A new guild starts the Guild Fest at the 'Beginner' level gauntlet. Guilds which reach the top 5 in rankings and unlock at least tier 8 rewards advance to a higher gauntlet in the next guild fest. To score points in Guild Fest, the participants must select quests from the guild fest board and complete them within the allocated time. After the Guild Fest, each member who took part in it gets to choose one gift out of three possible choices from every unlocked reward tier. It is a good idea to select gems, speedups, steel cuffs, crystals pickaxes, soul crystals, war tomes. and attack jewels. The slayer's chest is another item to look out for as it is extremely rare and contains materials for forging pay-to-play monster hunting equipment. 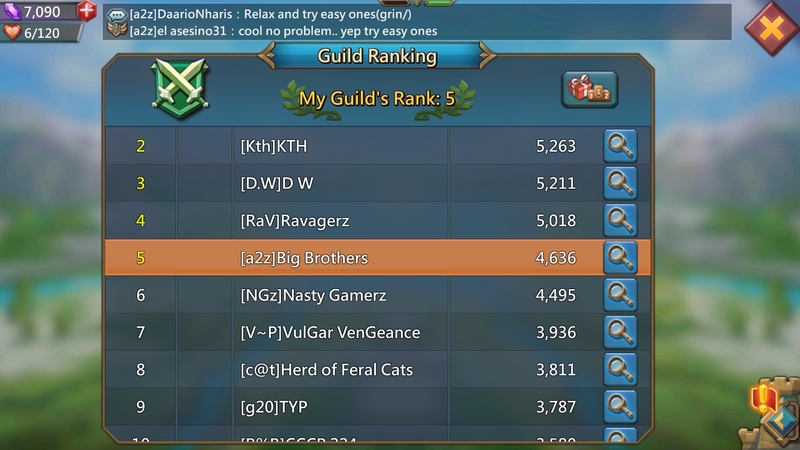 A guild which unlocks tier 8 rewards or higher and is ranked in the top 5, gets additional ranking rewards which usually includes gems, speedups, and winged boots. Previous Previous post: Lords Mobile: Is it Good to Have 2 Barracks?